Win Up to N1 Million in BIC Shave & Win Promo 2018. It's time to #ShaveAndWin Nigeria! 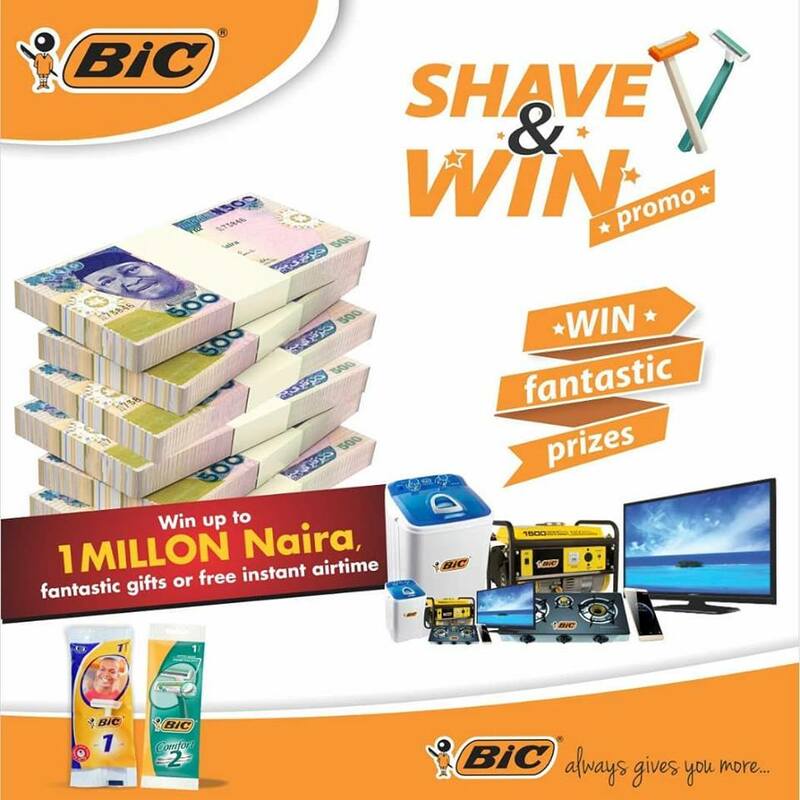 For the next three (3) months, you stand a chance to win up to 1million Naira. 2. You'd find a coupon inside which you'd scratch to reveal your secret number. 4. You would get a text that confirms you have qualified for the monthly draw or you win an instant time. It is time to #ShaveAndWin!!!! I was called that i have some a home theatre, but up till now i not seen anything.